Vajrayana is a Buddhist path for utilizing our life experiences as the fuel for the path. Vajrayana is a system of practices to cultivate a wakeful clear presence and connect with goodness in ourselves and others. In Vajrayana ordinary life experiences become the focal point for our training. Vajrayana refers to a path of “transformation” of these experiences. It is the transformation of thinking, experiencing emotions, embodied experience, visualization, identity, moments of crisis, dreaming and dying into opportunities for connecting with intrinsic wisdom. The view of the world in Vajrayana is that innate wisdom and potential for awakening is always present. Through Vajrayana meditation practices and Buddhist philosophy, we train to see the world with a “pure view,” an openness to connect with what is good, uplifted, the positive potential. Simultaneously, it is a training to wakefully address subconscious material, habitual neurosis and conditioned scripts within the framework of Buddhist resources for training the mind. The term “Vajrayana” is used in the Nyingma lineage to refer to Buddhist Tantra and Great Perfection teachings (Dzogchen). The latter refers to a class of Buddhist teachings that have been practiced by non-monastic, non-celibate practitioners, yogis, tantrics and lay people who lived dynamic lives. Vajrayana includes philosophy, visualization, mind training, body-mind yogas, meditation practices and rituals. Vajrayana, like all of Tibetan Buddhism, emphasizes the importance of relationships. The relationship between the teacher and student, between the student and the lineage history, between the community of people who practice and between the student and their world. These relationships present a complex and dynamic landscape through which the lived meaning of the teachings can be explored. Therefore a personal connection with others who teach and practice Vajrayana is an important ingredient. No book or class can substitute for that. However those experiences can be supported by a strong foundation in Vajrayana views, history and the context of the practices. The Vajrayana Training is offered to provide a foundation and a ground to encounter Vajrayana with understanding, to meet its teachers, adherents, rituals and practices with a sense of their purpose and context. As Buddhism has come to North America, ritual initiations (empowerments) have been widely available, but education in Vajrayana has not. Likewise, exposure to Lamas has been available, but in-depth personal training has not been accessible to all but a few people. The Vajrayana training offers an opportunity to bridge these gaps, offering an orientation to the views, rituals, symbols, practices and core principles of Vajrayana Buddhism in an accessible on-line learning format. Approaches to the Vajrayana teachings of Buddhism vary widely, with vigorous debates on the topic throughout the history of Tibetan Buddhism. While some schools reserve Vajrayana for advanced stages of the path, the Ngakpas (Buddhist Yogis) of the Nyingma lineage practiced Vajrayana as the core of the path from start to finish, approaching the entire spectrum of Buddhist vehicles from the view of Dzogchen and the methods of Vajrayana. The Vajrayana Training continues this tradition, offering education in a non-sectarian environment that may benefit students of any school of Tibetan Buddhism. The course is taught by Pema Khandro whose background of growing up in North America has provided her with an understanding of Western culture and learning styles. Thus the Vajrayana Training offers advanced esoteric teachings in a modern format. She engages straightforward language with a supportive teaching methodology that offers lecture, question and answer, slide shows with outlines of the material, recordings of the class for viewing and reference and the support of an assisting instructor who will follow up with one on one conversations after each class. The training is given in the accessible format of live web-cast teachings to keep Vajrayana accessible despite the demands of modern life. Vajrayana Training classes are offered one time a month on the first Wednesday of the month. The Classes generally include a one hour lecture by Pema Khandro followed by thirty to sixty minutes of discussion, so that the classes last from 90 minutes to two hours. On occasion, due to retreats or special events, the classes may be scheduled on other Wednesdays, but this will be announced in advance. The forthcoming yearly schedule is announced in December every year. This focuses on major texts of the Nyingma tradition in shedra style format of reading the texts line by line and reviewing the meaning and principles. This usually includes supportive materials such as slides or study guides, texts or video recording available after class. Vajrayana retreat once a year is offered as an optional/suggested support to receive practices and engage in the methods with support. Vajrayana tradition maintains the crucial importance of the student’s encounter with a teacher in the context of ritual “empowerments,” initiations where a kind of inspired transmission and inspiration is conveyed. For this reason it is considered impossible to ever fully encounter Vajrayana in books or on one’s own, it is a path that emphasizes the relationship between the student and teacher, the experience of ritual and connection with other practitioners.The Vajrayana Training course does not necessarily replace those elements but it can support it. Whether or not transmission of Vajrayana practices can or cannot be given over the internet is a matter of debate. Some Lama’s give empowerments over the internet these days, while others do not. However, what is clear after the last four years of this course, and courses like it, is that high quality education and learning can take place through internet courses. Likewise, so can support for ongoing inspiration, commitment and training. The Vajrayana Training is not a series of “empowerments.” Empowerments are ritual initiations into specific Vajrayana meditation practices where one trains to visualizes oneself as a particular Buddha and experience oneself as integrated with one’s buddha nature through the mantra and imagery of a specific buddha from the tradition. These practices are called deity yoga or yidam practice. The only initiation connected with Vajrayana Training is connected to Ngondro, the foundational practice that everyone begins within Vajrayana – and the practice that is the core of the meditative tools that one trains by. In modern Buddhism, access to empowerments are generally more available than in-depth Vajrayana education. So the Vajrayana Training offers that education. Both Vajrayana and Great Perfection (Dzogchen) views are taught in the course. It trains students to recognize the context, philosophy, perspectives, questions and details of how to make use of and make sense of Tibetan Buddhism as a whole. This material is equally important to the Vajrayana path. Vajrayana has always been more than just empowerments and other rituals. It has a philosophical view, an understanding of conduct in terms of Buddhist tantra and it has a rich history and lineage. Furthermore, ritual itself can only be fully accessed through some training in Tibetan Buddhism as a symbolic language, a kind of poetry of being where we learn to see the world in terms of wisdom, compassion, sanity and presence. Therefore Vajrayana Training offers education above all else. Students are encouraged to seek empowerments and develop personal relationships with Lamas or enter Ngakpa Training with Pema Khandro for going further in the Vajrayana Buddhist path. Vajrayana Training is offered in modules with ten to twelve classes per year. The final two classes of the year may be special themed classes where other topics outside the modules are taught. The topics of Vajrayana Training cover a range of essential themes and texts of Vajrayana Buddhism. One module of study explores the key aspects of Tantric Buddhism, and makes sense of its vast array of ritual, art, philosophy, and esoteric yoga. Another module offers initiation, training and support in Ngondro practice, the primary meditation practice of Vajrayana practitioners of all traditions. Ngondro reveals the dynamic, inspiring, visionary and artistic dimensions of Buddhist meditation, transforming the practitioners sense of self, world and experience itself. One module focuses on key elements of Buddhist Philosophy and the world according to Vajrayana, defining key terms such as emptiness, from the vast view of Dzogchen and the Nyingma Inner Tantra. A self-paced module explores the controversial and essential topic of the teacher-student relationship in Tibetan Buddhism, in Vajrayana and in modern contexts. Another module explores esoteric Buddhist philosophy and practice through direct study of a nineteenth-century Vajrayana and Dzogchen text. One module unfolds the history, stories and lineage of Tibetan Buddhism and the ancient lineage of Buddhist tantra and Buddhist Yogis, known as the Nyingma tradition. After the modules are each presented the course repeats from the beginning with a new text study. Each time the course is taught, although it is orienting around the same subjects, each class is unique and varied. This is due to the living and intimate atmosphere generated between the teacher and students. After attending for three years, students are encouraged to continue with more advanced study in Ngakpa Training and then later to repeat the course as teaching assistants. Students who repeat the course are encouraged to serve as mentors to new students in order to facilitate learning through verbal expression of these principles and sharing them for the benefit of others. The courses are non-sequential and can be taken in any order. In web-classes, meeting once a month, students will discover how to understand the pivotal principles of Tibetan Buddhism, make sense of empowerments, and go deep into understanding oneself, one’s own world, and how to make better sense of one’s own mind. Guidance and Support in accomplishing Ngondro, the unique foundational practice of Tibetan Buddhism. Study of the schools of Buddhism, with special focus on the unique non-monastic Nyingma lineage. Understanding of the symbology of Buddhist Tantra. How to enter into the path of Buddhist Tantra and Dzogchen, and much more. Teachers, Students, Masters & their Disciples; a history and philosophy of the Vajra Relationship in Tibetan Buddhism. How we do we understand issues of lineage, authority, power and tradition in the era of disillusionment with authoritative abuses of power? What is the relationship between individual spiritual health and community life? How do spiritual intelligence, independence, personal empowerment and psychological health factor into to the path? How do we draw on tradition in a time when we have loss of faith in institutions? How can we engage Buddhist wisdom while remaining free from the dogma and fundamentalism that many people associate with religion? What are Buddhist perspective on these issues? How does the modern context change these issues? What resources does Buddhism offer to grapple with abuses of power and ethical violations? How do we heal from spiritual traumas? What are ways to avoid pitfalls associated with the working a teacher and the complex mixture of spirituality, authority and power? What are possible ways to deal with breaches of truth and violation of ethics in the spiritual context? What are views of the teacher-student relationship in Vajrayana and how does this differ from other Asian religious traditions? from western traditions? Do you even need a teacher? If so how do you know you are ready? What does it mean to be a student and what should you expect from a teacher? What the different kinds of teacher-student relationships in Vajrayana history? How do you evaluate a teacher? What if the relationship breaks down? Is it possible to dissolve such relationships without breaking vows? This is the fourth in five sections of the Vajrayana Training. It incorporates historical accounts of the teacher-student relationship and Buddhist debates on these matters along with important questions that emerge from the modern context. Along with lectures and dynamic discussions, Pema Khandro shares her heartfelt reflections about the student-teacher relationship from the perspective of both student and teacher in the post-modern age. This module explores Buddhist philosophy from the point of view of developments in Nyingma Vajrayana and Dzogchen. through an examination of the major themes of Buddhist philosophy from the Vajrayana perspective. While many people often assume that all Buddhist philosophy has the same perspective on fundamental topics such as non-self, emptiness, karma and the goal of the path, the major quality of Tibetan Buddhism is diversity. Understanding these differences can help to supply students with a wealth of support in their own pursuit of the big questions on the nature of reality and the nature of mind. This segment of the Vajrayana training is intended to support a sustained engagement with developing and expanding one’s view of self, others and reality. In particular, the perspective emphasized in this course focuses on discovery of one’s own inherent purity, innate wisdom and intrinsic spaciousness. This is the specialty of the Nyingma lineage’s approach to Vajrayana which emphasizes the great perfection. Understanding non-duality in terms of samsara and nirvana. What does it mean when higher tantras state that samsara and nirvana are one? Students will be invited to read chapters in advance in order to prepare for the class. Unlike Ngakpa Seminary, students are not required to memorize passages, debate or give oral presentations. However, small group sessions at the end of each class encourage small group dialogue, optional quizzes are administered periodically and questions may be submitted during class or throughout the month. Recordings, video and slideshows are provided for all classes, barring any technical difficulties which arise from time to time. This module explores the Nyingma lineage through the stories and major teachings of the most influential masters in Tibetan Buddhism. These stories are set against the backdrop of the fascinating major developments in Tibetan history, politics and religion. This topic is a specialty of Pema Khandro and combines the entertaining and inspiration elements of story, myth and legend alongside current scholarly insight to previously obscure elements of Tibetan Buddhist history. What does it mean to practice in a particular lineage? Monthly one hour LIVE training class with Pema Khandro via webcast, You also receive the recording via email. The class is 60-90 minutes and includes question and answer time. There is no class in December. Optional monthly conversations with a Teaching Assistant via phone or Skype. Membership in N.I. with the privilege of discounts, newsletters, and access to private meetings with Pema Khandro during public retreats. Member Events and opportunity to join Sacred Service. Teaching Assistant Support: The supportive group environment allows for engaging with practitioners of Tibetan Buddhism, which fosters the experience of genuine and long-lasting change. Working monthly with the teaching assistants will help answer your questions and support your integration of this life-changing information that is rarely explained in depth. See our calendar of events for dates. How to Know if Vajrayana Training is a fit? take two self-paced online courses taught by Pema Khandro. They are now available online – they are; Buddhism As a Way of Life and Sutra Tantra Dzogchen. These two courses give an overview of Pema Khandro Rinpoche’s teachings and themes – in terms of Buddhist Philosophy. If you are not sure if Vajrayana Training is a fit for you – these courses are a good place to begin! Become a member of the Buddhist Yogis Sangha and join in for twice a month online meditation and discussion groups with Pema Khandro. Students may enter the training at any point, with a six month commitment. This time period is set to foster an in-depth training atmosphere. Vajrayana Training participants are automatically given Member status for as long as their enrollment is current, making them eligible for other member benefits. 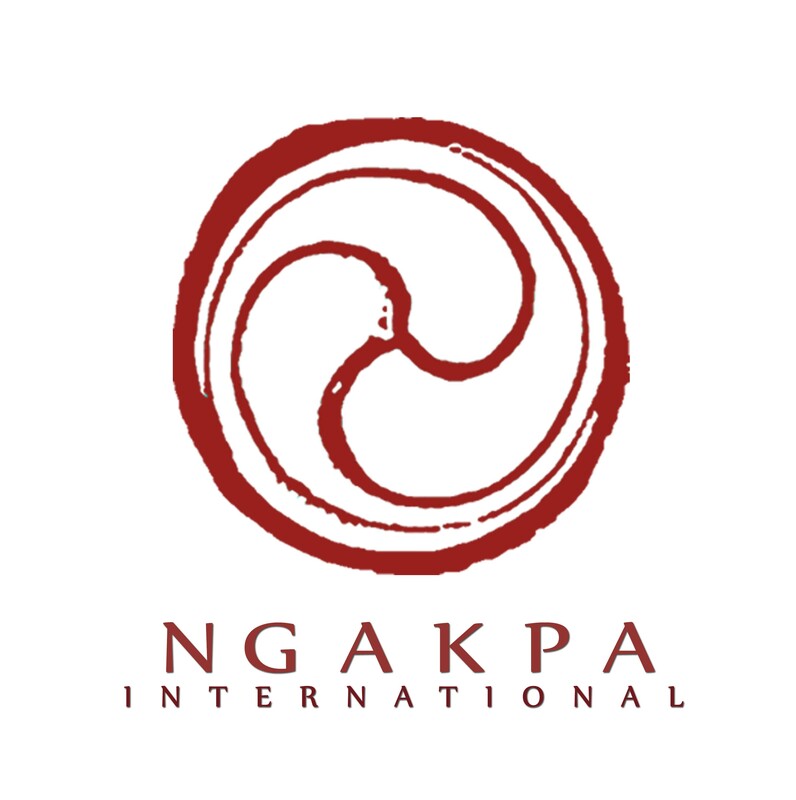 For more information about Vajrayana Training or Ngakpa International’s Membership program, please contact Membership@Ngakpa.org. The approach to Vajrayana study varies within the different sects of Tibetan Buddhism. For example, among the Gelukpa lineage of Tibetan Buddhism, Vajrayana materials are regarded as secret and reserved for advanced students who have accomplished many decades of other practices. In the Nyingma lineage of Tibetan Buddhism, Vajrayana is considered the main heart of the path, beginning with ngondro and going onto to practices of Deity Yoga. Vajrayana empowerments are given in public, though the general standard is to complete ngondro, the preliminary meditation practices first. Today, with the widespread publishing of Buddhist books, and proliferation of Buddhist materials online, there are so many aspects of Vajrayana that are not secret. In some sense, the secret is out. However because this information is presented in overwhelming quantities from contradicting view points, it often leaves students confused in terms of how to sort through such material. Particulars are taken as universals. Local realities are interpreted as ‘truths.’ Areas of important philosophical questioning are lost in a sea of nuances. This adds obstacles to the practice of sincere individuals. This Vajrayana Training is aimed at removing those obstacles – by providing a step by step study, by making sense of the relationships between the variety of perspectives, and their historical background, by highlighting which tenets must be understood immediately and by providing frameworks for organizing Vajrayana paradigms. Despite the proliferation of Buddhist materials, there is an element of Vajrayana which has remained secret – in terms of transmitting the practices in the context of a teacher student relationship rather than broadcasting them to the public. The secret is the practice liturgies, the maps to Vajrayana contemplative practice. These are similar to recipes passed down in families, everyone knows what spaghetti sauce is, but to produce grandma’s special spaghetti sauce requires knowledge of the family recipe and family secret. Of course, Buddhist contemplative practice is far more consequential than spaghetti sauce, but it is a helpful analogy to understand what is meant by ‘secret’ in Vajrayana. It refers to practices which are cared for, regarded as precious and shared with serious practitioners only. Similar to the example of spaghetti sauce, even though deity yoga practices follow similar structures which are knowable and recognizable, the important part of the practice, which is the particularities of that practice in the lineage, such as the mantra, liturgy, and lived experience of the practice – are passed on only directly from teacher to student. Vajrayana Training does not replace that transmission. However, it does aim to provide the knowledge students need to attend empowerments and understand what is going on. Vajrayana Training does include ngondro meditation instruction and guidance, so that students are prepared to go deeper into Vajrayana Training with the Lamas they will student with in the future. Pema Khandro offers a straightforward, warm, light-hearted, down to earth educational approach to Buddhist training. If you are looking for special transmissions, special powers, psychic abilities and so forth, this training (and all her courses) would be incompatible with your goals. No “transmissions” are given in this course. It is simply educational in nature. If your goal is to become enlightened in terms of supernatural abilities, magic powers and specialness, this course would be incompatible with your goals. Pema Khandro’s teaching emphasizes Dzogchen views of human life which emphasize ‘naturalness,’ ‘authenticity,’ and a general ambiance of basic sanity. The goal is to study Buddhism for the purpose of being a good human being, leading a dignified, satisfying life and acting altruistically to help our world. Pema Khandro’s teachings emphasize mainstream Buddhist ethics. Therefore if you are looking for neo-tantric teachings which are western originated teachings focused on sexuality, then this training and our courses are also incompatible with your goals. Pema Khandro teaches about the importance of harmonious, respectful and monogamous relationships. If you are interested in learning about topics such as Buddhist philosophy, the nature of mind, the source and workings of thoughts and emotions, Buddhist perspectives on karma, transforming one’s state of being through contemplative practices, perspectives on the purpose of life, questions about birth/death, meditation methods, pragmatic approaches to health, Buddhist history, Buddhist stories and culture, the meaning behind Vajrayana practices and rituals, the relationship between Vajrayana and Dzogchen… then yes, Pema Khandro’s courses are compatible with these goals! Our community does not discriminate against individuals based on sexual-orientation, race, ethnicity, religion, ability, gender or religious background. We believe everyone has equal amounts of Buddha-nature and that diversity is beautiful!